With Splendy Games’ The Bunker, the studio has managed to do something a lot of other studios haven’t done in recent memory, and that’s to make and release a full-motion video game. Fortunately, The Bunker is more than decent to give it a go, and that piqued our interest somewhat. So much so that we then asked Splendy Games a handful of questions regarding The Bunker, the studio and FMV games in general. Speaking to PlayStation LifeStyle and answering our questions was Splendy Games’ Allan Plenderleith, Director and writer of The Bunker. PlayStation LifeStyle: You got to film in an actual bunker. 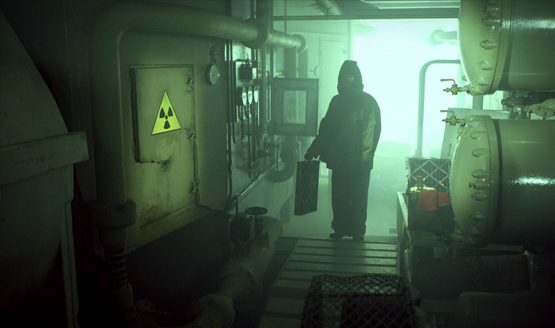 How surreal was that, and do you feel like that added authenticity was key to making the game’s story feel impactful" Allan Plenderleith: We found the bunker on a location scout and couldn’t believe our eyes when we walked in – everything had been left by the government in the 90s, all the computers, desks and equipment. It meant on our tight budget we could get that real authenticity with a few adjustments here and there – and it helped the actors too, they weren?t trying to act against dry old green screen! PSLS: Did you have the concept of The Bunker first and then decide on making it a FMV title, or how did the idea come about"